So do you believe in ghosts or are you the skeptic? 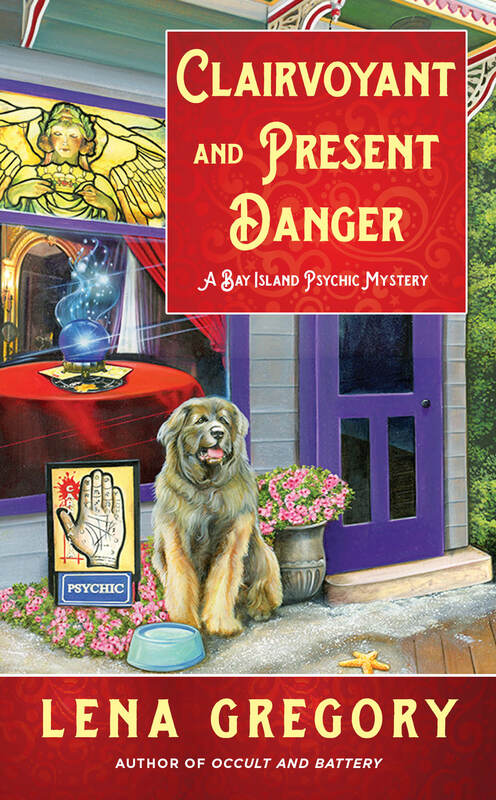 Lena Gregory explores both opinions on the subject in her latest mystery, Clairvoyant and Present Danger. 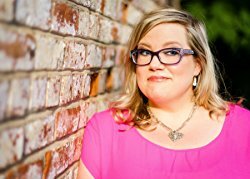 She was kind enough to answer some questions about how she came up with her series and to share her Rafflecopter Giveaway: a $25 Amazon Gift Card! The idea for the Bay Island Psychic Mysteries series originated from a “discussion” between my husband, my daughter, and me about whether or not ghosts were real. The original concept for the story was about a psychic medium who wasn’t even quite sure she was actually contacting the dead, one friend who believed whole heartedly that she was (Stephanie) and one friend who remained skeptical despite evidence to the contrary (Bee). I have two favorite scenes in Clairvoyant and Present Danger, both involving Bee. The first takes place on the beach, when Bee is once again talked into doing something way outside of his comfort zone. The second takes place in a park, when Bee stands up for someone he really cares about. Besides the Bay Island Psychic Mysteries series, I also write the All-Day Breakfast Café Mysteries series, in which Gia Morelli leaves her life in New York to open a café on the outskirts of the Ocala National Forest in Florida. I would probably write fantasy, since it’s one of my favorite genres to read. Yes, there is a tour-wide rafflecopter giveaway. I’m always happy to have reviews anywhere! Amazon and Goodreads are especially helpful. Have you ever attended a class reunion and notice how not only do people not look the way they did in high school, but they vaguely resemble that Facebook photo? Today we have a great cozy mystery, Class Reunions Are Murder. Not only that, but I got an exclusive interview with Poppy McCallister who will give us the skinny on her class reunion experience. Maybe I shouldn’t have said skinny. Any girl whose special talent is sniffing out flavors in a Whitman Sampler–needs to come sit next to me! Love it. Don’t forget to look for the Prize Guy. Enter for the chance to win a print copy of Class Reunions Are Murder! I was coerced into attending my twenty-fifth high school reunion at the Jersey shore by my life-long best friend, Sawyer to face off against the cheerleading bullies who made our lives miserable all through high school. One of those bullies ended up dead – through no fault of my own – and I had the misfortune of finding the body. Now guess who was voted most likely to kill a cheerleader. Yep, yours truly. Man, I just wanted to go home to Virginia, my sectional sofa, and my tubes of cookie dough. Instead, I got stuck in beach hell trying to wriggle out of the clutches of a vindictive cop and prove my innocence. I have plenty of friends and sidekicks. I’m not sure how much help they always are. Figaro is my black smoke Persian and he has a way of being a pest in just the right moment. We live with my Great Aunt Ginny. If getting into trouble were an Olympic sport, she’d have all the medals, but she’s sharp as a razor clam and misses nothing. Then there’s Sawyer, she’s my ride or die. We grew up together. There’s nothing I wouldn’t do for Sawyer, and that’s how I got into this mess at the reunion. My special skills involve being able to deduce what filling is in a chocolate from the Whitman’s Sampler on sight, and my ability to sense when a coffee shop is nearby. I’m not trying to fight crime, I’m trying to fly under the radar and stay out of trouble. But I do have a way of reading people – an intuition if you will – that helps me detect lies and guilt. Aunt Ginny says I’m just overly suspicious. I’m a full-time couch potato. My husband passed a few months ago and I’m still trying to get out of bed in the morning. I’ve been slogging through life with all the motivation of a manatee. There are some dreams and aspirations I’d still like to see realized in my life. It seems I have my work cut out for me. Running into my ex-boyfriend at the reunion and him seeing I’ve chunked out since high school. If there was such a thing as karma, what in the world did I do to deserve the feathery nightmare I had to wear to see people who hadn’t had the chance to judge me for twenty years? I imagine myself being played by Julianne Moore or Debra Messing. Stop laughing Aunt Ginny. Aunt Ginny would be supremely lucky to be played by Carol Burnett. Class Reunions is the first in a series. More hijinks are soon to come. If you ever get a piece of monogrammed stationary requesting a private meeting with an old enemy at your high school reunion – don’t hesitate. Run over it with the car, tear it into a million pieces, and set it on fire immediately! Thank you so much for reading the adventures of Poppy, Figaro, and Aunt Ginny. Drop me a line through my website or social media. I’d love to hear from you. Ready to go blog hopping? My tour starts today with a visit to Laura’s Interests! Time to hop in the car, and don’t worry, we won’t be staying at Hickelby’s Motor Lodge. We’re heading for the Tunie Hotel in beautiful downtown Piney Woods. Okay, maybe we won’t have this dude standing around, but you get the idea. Here is the rest of the schedule if you want to hop along. Be sure to enter my giveaway and leave a comment so I know you stopped by! Let me look into my crystal ball…oooh, I see another great cozy mystery with a giveaway attached. Gilian Baker is giving away one digital copy of her latest mystery, Murder Over Medium at each tour stop–so scroll down to look for the Prize Guy! Someone on this site today is going to win this excellent mystery! If you don’t want to take my word for it, check out my review of Murder Over Medium. Jade Blackwell finds herself entertaining an old professor who turns her peaceful daily life upside down. Gwendolyn, a professor turned psychic medium, schedules a seance and as a group of characters assembles, secrets begin to be revealed and a murder occurs. I really liked the tension between Jade and Gwendolyn. Gwendolyn is the houseguest from Hell. Even Gwendolyn’s cat attacks Jade! There were many layers to this mystery and I found it riveting all the way through. This one is a good read. At first, Jade welcomes the visit, but things soon turn bizarre as Gwendolyn brings only disorder danger and disruption. When a murder is prophesied, and a beloved pillar of the Aspen Falls’ community winds up dead, Gwendolyn becomes Sheriff Ross Lawson’s prime suspect. 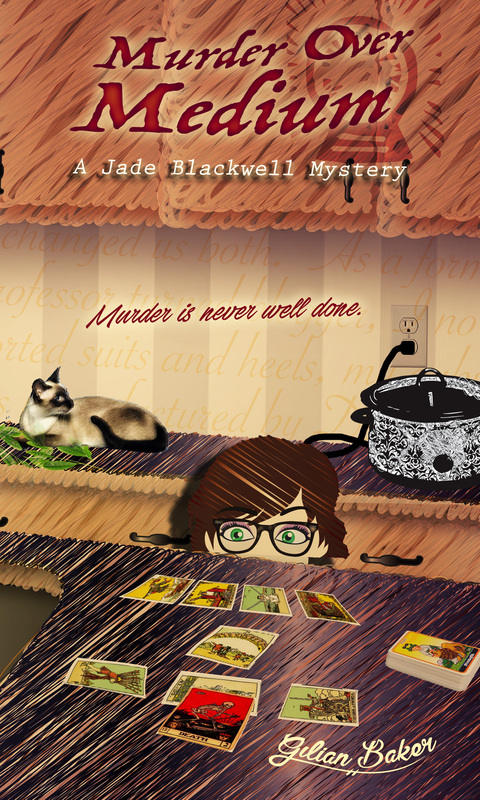 Return to the Jade Blackwell Cozy Mystery Series in Murder Over Medium , as Jade jumps into the fray of a territory not governed by logic or reason—in either this world or the next. Enter below for your chance to win a digital copy of Murder Over Medium. I know you’ve probably had your fill of holiday cookies but how about one more? 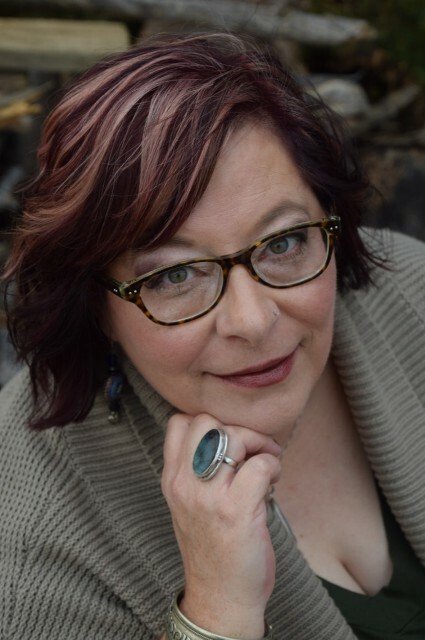 Gail Oust is here today to talk about her new mystery, Ginger Snapped. She was kind enough to answer a few questions about her book and her writing process. Don’t forget to look for the Prize Guy. Today he’s giving you the chance at an autographed print copy of Ginger Snapped! How did you come up with an idea for your book? A great thing about writing a cozy series is that there is a readymade pool of characters from which to draw both possible suspects and potential victims. This time I reached into the “pool” and pulled out none other than Wyatt McBride, the chief of police. I thought it would be fun to turn the tables on the lawman and see how he’d react when the shoe was on the other foot so to speak and he was considered a person of interest. I think my favorite scene comes near the end when Piper and her BFF, Reba Mae, must be very creative unless they want to be the killer’s next victims. In a past life, I’ve had nine historical romances published under a pseudonym of Elizabeth Turner. Truthfully, I’m not sure where my muse will lead next. Ideas for my next project are just starting to perk. Hmm. I’d like to stay in the mystery genre but maybe break out of the cozies for a change of pace and try writing a psychological suspense thriller. That would definitely pose a huge challenge. I’m giving away an autographed copy of Ginger Snapped to one lucky person that will span my blog tour. Readers can leave reviews at either Goodreads or on Amazon. Dust off that library card, because today we find out about Murder for the Books by Victoria Gilbert. Wouldn’t it be fun to work in a library? I don’t think I would have time for work–just reading. In my case, this rule also applies to donut shops and candy stores. Yes, the Prize Guy is hidden in this post. Enter for a chance to win a signed hardcover of A Murder for the Books: A Blue Ridge Library Mystery by Victoria Gilbert with some swag. When Amy, a librarian, finds herself in the middle of a suspicious murder in town, she also finds that she is attracted to her new neighbor who is a professional dancer. Amy lives with her aunt Lydia and the town is still talking about an age-old story from the fifties when the children of a nearby orphanage were all poisoned. I found this to be a very entertaining mystery that kept me on the edge of my seat. The author does a really good job of keeping the action going throughout the telling of the story. Let’s head down South for a new installment in the Down South Cafe Series! Gayle Leeson has stopped by to talk to us about her latest book, Honey Baked Homicide. It sounds delightful! Of course, there is a giveaway with this book so buzz on down and find the Prize Guy! I love honey bees and was saddened by their plight, so I began to research bees and honey. I didn’t realize how crucial bees are to our food supply, nor was I aware of all the benefits of honey. I decided Stu Landon and his honey farm would be a great addition to Amy’s world. The dinner party scene. I loved writing the dialogue for all the different characters, particularly, Aunt Bess. Is there a giveaway or promotion for this book? There are several. Some are included in this blog tour, and some will be on my Facebook page. So keep an eye out! Amazon, Books-A-Million, Barnes and Noble, and Goodreads. I live in Virginia with my family, which includes her own “Angus” who is not an Irish wolfhound but a Great Pyrenees who provides plenty of inspiration for the character of Mr. O’Ruff. I’m having a blast writing this new series! It’s Book Blast Tuesday and today we are showcasing Mike Martin’s A Tangled Web. This is the sixth book in this series and we are hot on the trail with Sgt. Windflower. I love finding cozies from different places, so today let’s travel to Newfoundland! Be sure to look for the Prize Guy. 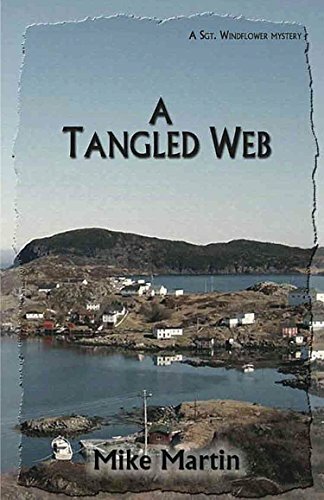 Mike’s giveaway is an e-copy of A Tangled Web and he’s giving away one for each blog. Life is good for Sgt. Wind¬flower in Grand Bank, Newfoundland. But something’s missing from the Mountie’s life. Actually, a lot of things go missing, including a little girl and supplies from the new factory. It’s Windflower’s job to unravel the tangled web of murder, deceit and an accidental kidnapping that threatens to engulf this sleepy little town and destroy those closest to him. But there’s always good food, good friends and the love of a great woman to make everything better in the end. “Life doesn’t get much better than this,” said Winston Windflower. The Mountie looked over at his collie, Lady, who wagged her tail at the sound of his voice. If dogs could smile, she smiled back. His world was almost perfect. He had the love of a great woman and a good job as a Sergeant in the Royal Canadian Mounted Police patrolling one of the lowest crime regions in the country. Plus, the weather had been mild so far, at least for Newfoundland in early December, and that meant no snowstorms with forced overnighters at the detachment. Life was very good indeed. He had good friends, including Lady, who was amongst the best of them. And he had a child on the way. His wife, Sheila Hillier, was pregnant and at the clinic for her three-month checkup. He was waiting to hear how both Sheila and the baby were doing. His Auntie Marie had told him the baby was a girl, and if anyone knew about these things, it was his Auntie. She was a dream weaver, an interpreter of not just dreams but of messages from the spirit world. Windflower had recently spent a week with her and his Uncle Frank, another dream weaver, to learn more about the dream world. Windflower was contemplating that piece of wisdom when he noticed a very distraught woman get out of her car outside the RCMP detachment in Grand Bank. She ran towards the front door. He walked out to meet her, but the administrative assistant, Betsy Molloy, beat him to it. “There, there now, Molly. What’s goin’ on?” asked Betsy as she put her arms around the other woman and guided her to a seat in the reception area. “Okay, Mrs. Quinlan,” said Windflower as he knelt down beside the two women. “How old is Sarah?” He didn’t really need to know how old the girl was. He wanted to help the mother calm down so she could give them as much information as possible. “She’s going to be six next month,” said Molly Quinlan. “She’s growing up so fast. But she’s still such a little girl. And now I’ve lost her. Brent is going to kill me.” She started sobbing again. “What was she wearing so that we can help find her?” asked Windflower, trying to get information but also trying to help Molly Quinlan feel useful. Windflower smiled. “I’m sure she’ll show up soon. But let’s go over to where you last saw her, and we’ll start looking. She can’t have gone far. Leave your car here, and come with me. I’ll drive you over.” The woman smiled weakly at Windflower through her tears and allowed him to take her arm and guide her to his Jeep outside the door. Betsy nodded her agreement, and Windflower went outside to drive Molly Quinlan home. Meanwhile, it turns out, Sarah Quinlan was fine, perfectly fine. She had wandered a little way from home in the centre of town. She was going to go down to the nearby brook to feed the ducks. She knew better than to go into the water, but she couldn’t see any reason why she couldn’t just look. She’d done it before, and nobody seemed to mind. As long as she didn’t stay away too long, everything was okay. Sarah had that great fearless attitude of a child who grew up in a small and very safe community. She knew most of her neighbours, and they all watched out for her. She also had the natural curiosity of little children, especially when she saw something new. The truck parked on the roadway above the brook was new, so Sarah went to take a closer look. Even better, the back door of the truck was open, and there was a ramp leading inside. This was certainly worth a closer inspection. Sarah Quinlan was having fun exploring the back of the large truck when she heard a loud, rumbling noise. She didn’t know it, but the driver had started the engine. It was so loud, and Sarah was so frightened by it, she froze. The next thing she remembered was everything going almost completely black and the back door of the truck slamming shut. She cried out, but by then it was too late. Seconds later she, the truck and the unsuspecting driver were barrelling out of town and onto the highway. Windflower drove Molly Quinlan to her house and got her to show him where Sarah had been playing. Together they walked through the house to see if the little girl had come home and hidden there. But no such luck. While they were searching the house, they were joined by two of Quinlan’s neighbours who took over Molly’s care and made her a cup of tea. Soon afterwards Constable Harry Frost arrived from his highway patrol. Windflower gave him a quick update and directed him to go to one end of town to start the search. He would begin the house-to-house search through the neighbourhood when Smithson showed up. He first checked out back and looked in the storage shed, a favourite hiding place of every little kid and probably where Windflower himself would have taken refuge. But Sarah was not there. As he went to the front of the house, Constable Rick Smithson showed up. Smithson returned to his cruiser and sped off. Windflower wasn’t worried. Yet. But he knew that the first few hours were crucial in finding a missing child. If they didn’t, then it was almost always something more serious. Not time to panic, but no time to waste. He walked up to the first door and knocked. The Walker on the Cape was his first full fiction book and the premiere of the Sgt. Windflower Mystery Series . Other books in the series include The Body on the T, Beneath the Surface, A Twist of Fortune and A Long Ways from Home. A Long Ways from Home was shortlisted for the 2017 Bony Blithe Light Mystery Award as the best light mystery of the year. A Tangled Web is the newest book in the series. Enter Here for your chance at Mike's giveaway. A Kindle copy of A Tangled Web. Don’t forget to look for the Prize Guy. Today he is offering a chance at a print copy of Altered To Death (A Faith Hunter Scrap This Mystery). It would make a terrific Christmas gift! The idea for Altered to Death came from a discussion I read on a scrapbooking message board about if it was wrong for family historians (the person who does the memory keeping) to omit some of the details about family life. It was a tossup with half the responders saying it was dishonest not to include everything that happened during the year (vacation, event, etc. ), and others who said they felt no need to document the sad or ugly times in their life. Their families cherished the albums and the memory keeper doesn’t want to include things that would make others feel bad or show them in a negative light. It had me wondering if we have a right to know everything about our relatives and/or about the people we know in life. Are they lying if they keep some of their past to themselves? Are they required to tell all? And then I started to wonder if how we see someone is the actual truth or is our viewed skewed (either good or bad) by our life experiences and what they show to us and not others? I know I’ve been conversations with people about an event and we each have such different views of it, or in the case of an argument who was the one at fault. What happens if we were to learn what we believed the truth actually was not? I took those what-ifs and had two mysteries about two disappearances—one of the founding family of the town and the other about a dead-beat father—and created the plot for Altered to Death. This book was a little harder for me to write as the questions I was addressing seemed to not have an answer. It is a complicated matter—what needs to be told and what does no one else have a right to be told. 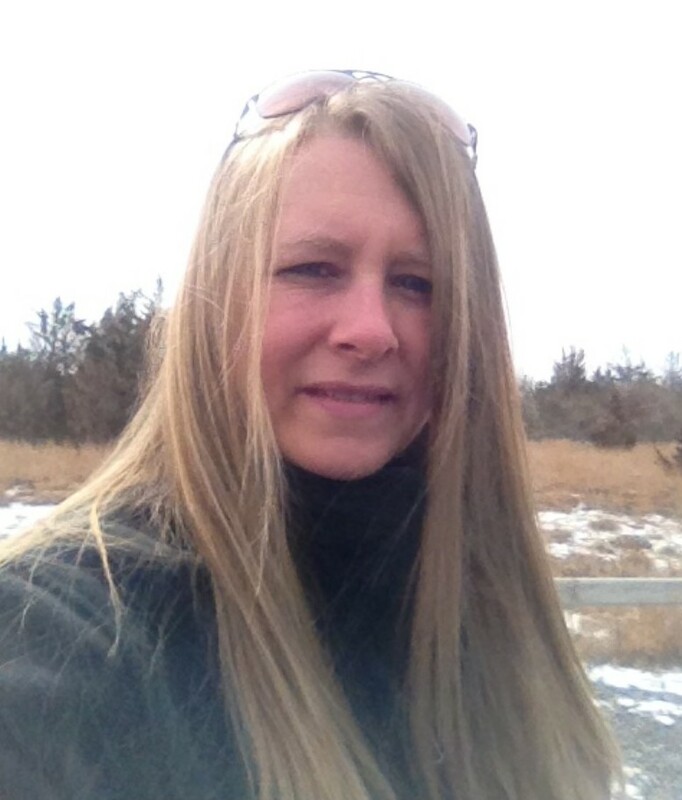 Erin Johnson is back again and her cozy giveaways just keep on coming. Helping out at a bakery booth sounds fun, right? If this were me I would live for break time, fill my plate and consume high calories. Good old Imogen, though, has to deal with a side-splitting creepy magician, a murder and a dear friend who is accused of the crime. All the elements of a good mystery. We may need a plate of baked goods, anyway! Don’t forget to look for the prize guy for your chance at a cute witchy tote bag, four cozy witch mystery books, and a cute witch bookmark. Click here to enter Erin’s giveaway! A witchy tote bag, four cozy witch mystery books, and a cute witch bookmark.